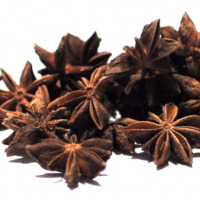 Star anise is not related to the common anise, Anisum vulgare. It was first introduced into Europe in the seventeenth century. 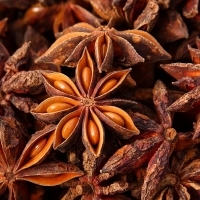 The oil, produced by a process of steam extraction, is substituted for European aniseed in commercial drinks.an unknown printer took a galley of type and scrambled it to make a type specimen book.Native to China and Vietnam, star anise is today grown almost exclusively in southern China, North Eastern India, and Japan. 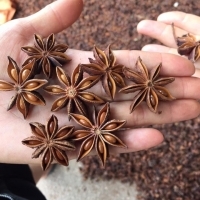 Star anise, Illicium verum, is sometimes called Chinese star anise. Itâ? ?s important to distinguish it from Japanese star anise, Illicium anisatum, which is highly toxic. Short on time? Let star-aniseed sellers contact you. 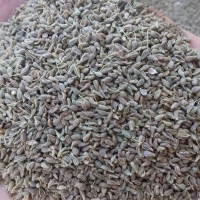 Star aniseed (autumn crop) Specifications: Appearance: well-dried, clean, no mould or fungus Admixture: 1% Moisture: 13.5% Natural reddish color Flower size: 2.0 cm up (80%) Broken: 10% None stem (stemless) Vietnam origin Flavor: featured aroma. Packing: cartons (net: 10-20kgs/carton) Container capacity: 7, 2mt/20ft; 16, 5mt/40hq. Length: 2.5 cm up Moisture: 13% Broken: 5%. As your requirement. We supply all spec. of star aniseeds. We supply all spec. of star aniseeds and packing as you request. Appearance: well-dried, clean, no mould or fungus Admixture: 1% Moisture: 13.5% Natural reddish color Flower size: 2.0 cm up (80%) Broken: 10% None stem (stemless) Vietnam origin Flavor: featured aroma Packing: in cartons (Net 10kgs, 20kgs). Container capacity: 7,2MT/20FT; 17,5MT/40HQ. 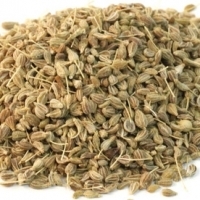 Broken star aniseed SMoisture: 13,5% Max Admixture: 1% Length: 5 - 15cm No fungus Natural colour (reddish colour) Packing: in bag( net 10 kgs, 20 kgs, 25 kgs) Container capacity: 9~10MT/20FT; 21MT/40HQ Immediate shipment. Specification: Flower diameter: 85% Length: 2.5 cm up Broken 5%, Moisture 13.5%, Sense: natural color. Fangchenggang City Lvkang Industry And Trading Co., Ltd.